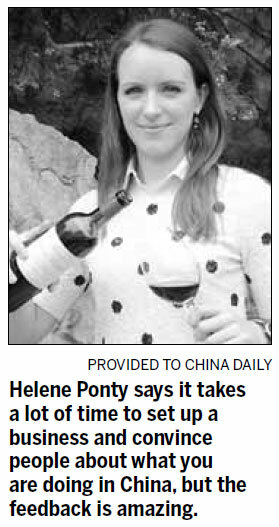 People in the China wine trade are surprised to find that Le Ponty wines, one of the Bordeaux region's most esteemed wineries, has a personal presence in the country, in the shape of the owner's daughter, Helene Ponty. Most winemakers trying to push their products in China content themselves with promotional visits, but Ponty lives and works in Beijing and travels throughout the country to promote Le Ponty wines. 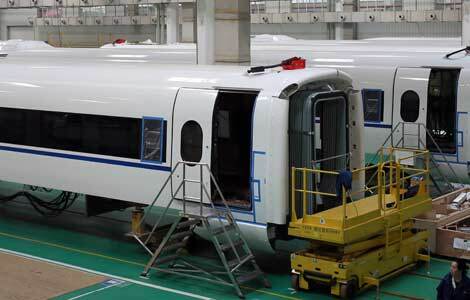 The mission has proved to be an unqualified success: the winery now ships more than 20,000 bottles a year to China, a quarter of its annual production. People in the wine trade are fascinated to discover that Helene Ponty is based in the country, is formidably knowledgeable about Bordeaux wines in particular and French wines in general, and has taken the trouble to learn to speak Chinese.